Apple sauce, maple syrup and ground almonds replace regular cake ingredients in this gorgeous gluten-free cake. Top with a sticky layer of caramelised fruit. Master the croque monsieur with soft sourdough, Gruyère, smoked ham and creamy mustard mayo. You’ll relish every mouthful of this brunch classic. Revisit an 80s dinner party classic — the meat fondue. The assembly job can be done before your guests arrive. Make some sauces yourself and buy the rest. This Bloody Mary has a lot of ingredients but, trust us, it’s worth it. Perfect for a dinner party garnished with an olive, or just as a treat at the weekend. Fill these bacon cups with scrambled eggs, baked beans or another favourite breakfast item. They’re quick to make for an impromptu brunch. Lychee & rosewater ice cream. This refreshing lychee ice cream with a delicate rosewater flavour is the perfect showstopping dinner party dessert, with popping candy for added theatre. The easiest pulled pork recipe you’ll ever use. No tricky measurements involved, minimal ingredients and a mouth-watering smoky barbecue result. Make yourself the ultimate treat: a crisp sandwich, with homemade salt and vinegar crisps. These crunchy, golden brown rounds are easier than you might think. Britain has a real love affair with the potato. It can be used in so many delicious ways. 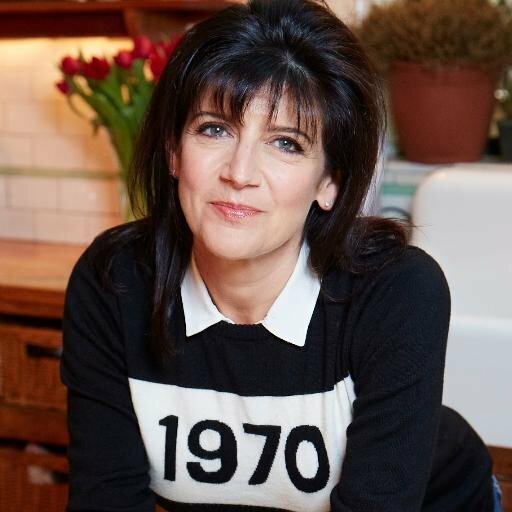 Emma Freud celebrates seven favourite recipes for scrumptious spuds.